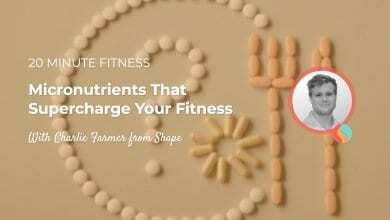 Can the Latest MCTs and Ketones Transform Your Diet? Home•20 Minute Fitness Podcast•Can the Latest MCTs and Ketones Transform Your Diet? Have you noticed new supplements like Ketone Salts, Ketone Esters, or MCTs pop-up on your grocery store shelves? Have you wondered what they are? Well in this episode of 20 Minute Fitness we delve into the universe of the ketogenic diet and ketogenic supplementation. Looking into the myths and busting open the science behind this latest fitness craze. We peer into the process your body undergoes to produce natural ketones. Comparing that to the way your body reacts to supplemented ketones. In addition, we talk about the very popular craze of MCT supplementation. Figuring out what exactly they are and how they can help with your keto diet or in your day-to-day life. Stay tuned for the last part of the episode, because we have a bonus segment about the science and validity behind the butter coffee trend. Does blending 80 grams of fat into your morning cup really help you lose weight? 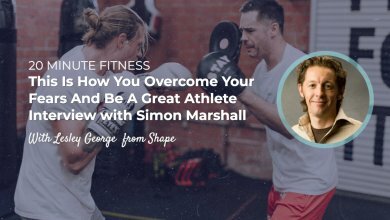 Find out in this episode of 20 Minute Fitness! The Keto diet is a big trend in the fitness and diet communities. This diet turned has been turning heads because of its high-fat content. For this diet, you actually consume a ratio of 75% fat, 15% protein and 10% carbs. On a normal, higher carb diet, the body will use glucose as the main form of energy. By lowering the intake of carbs you induce a metabolic state known as ketosis. Ketosis is a natural process the body that works as a “backup generator” if food intake is low. During this state, we produce ketones. As fats break down in the liver the production of ketones begins. The end goal of a properly maintained keto diet is to force your body into this metabolic state. You don’t do this through starvation of calories but starvation of carbs. Since keto has hit the market, there have been a ton of supplements released claiming to help you with your diet. You’ve probably seen these supplements in your grocery store or on your social media feeds. Companies like bulletproof coffee, Keto OS, and Laird Superfood are creating supplements that potentially help with your keto diet. So today our aim is to see how these supplements work and what kind of research they have behind them. We are taking a look at Ketone Salts, Ketone Esters, and the very popular MCT’s. How does your body enter Ketosis? The first method of entering Ketosis is Endogenous Ketone Production. this means that your body is producing ketones because there is a lack of carbs. This is the tried and true method of entering ketosis. The second method of entering ketosis is Exogenous Ketone Supplementation. Where you take supplements that contain ketones to help you reach ketosis. So this is really what we are going to be looking at today. Does this supplementation of ketones actual mimic your bodies natural production of ketones or help you with your keto diet in any way. What Ketones Does Your Body Produce? Acetoacetate is the first ketone body that is produced. This is done by fat being broken down by the liver into glycerol and fatty acid molecules. The fatty acid is then broken down further, in a process called ketogenesis. Acetoacetate is then converted into either BHB or acetone. Acetone is the least abundant ketone body, but it may be produced in higher quantities when you first start the ketogenic diet. As your cells adapt to carbohydrate restriction, BHB becomes the most prevalent ketone body and your brain and muscle cells start using it as their primary fuel. So BHB is really what supplements like Ketone Salts or Ketone Esters are trying to replicate. What Is A Ketone Salt Or A Ketone Ester? Well, either can be mixed with water or other beverages and taken like you would a protein powder. Ketone Esters: Synthetically-made compounds that link an alcohol to a ketone body, which is metabolized in the liver to a ketone. Ketone esters are used primarily in research for testing their efficacy in elevating ketone body levels. They also are reportedly very unpleasant tasting, according to those who have experimented with them. According to a study Ketone, esters achieve 3x high blood levels of BHB in 30 minutes than a ketone salt. Esters also deliver BHB without a salt or acid load. Meanwhile, ketone salts only mildly raise BHB levels. Ketone salts are also cheaper to produce and can contain an unnatural form of BHB which cannot be easily metabolized by your body. In order to raise blood BHB concentrations, you have to consume a significant load of salt. Why Would You Want To Supplement Your Diet With Ketones? 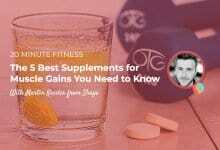 Well, there are some benefits or even loopholes that ketones potentially offer. The second benefit is that taking a ketone supplement raises ketone levels without affecting altering lipid levels. One of the criticisms of the keto diet that has been floating around is that it alters your lipid levels. However, according to a study done by the Federation of American Societies for Experimental Biology Journal, blood ketone levels can be increased and cholesterol and triglycerides decreased by feeding rats a novel ketone ester diet. 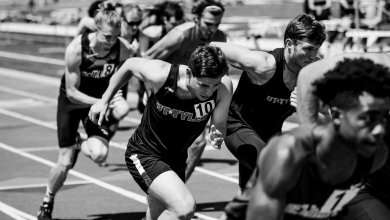 According to the Cell Metabolism Journal, ketosis may alter respiration, while improving energy under certain conditions, such as endurance exercise. This study was done in five separate cycles of 39 high-performance athletes. In a study done by The Federation of American Societies for Experimental Biology Journal rats on the ketone diet ran 32% further on a treadmill than did control rats that ate an isocaloric diet. Ketone-fed rats completed an 8-arm radial maze test 38% faster than did those on the other diets, making more correct decisions before making a mistake. The novel ketone diet, therefore, improved physical performance and cognitive function in rats. Whereas carbohydrates and fat turn into components that can enter the bloodstream directly from the digestive system, most dietary fat converts to water-soluble molecules that enter the liver via the lymph system. The liver then converts these molecules to fatty acids and ketone bodies. MCT fats are medium chain triglycerides and are present in a relatively small amount in most sources of dietary fat. Unlike their longer cousins, they can enter the liver directly without having to go through the lymph system. So, consuming MCT fats gives the body an opportunity quickly to produce ketone bodies as an energy source for the brain. The MCT ketogenic diet recommends that 30 to 60 percent of the fat intake in the diet comes from MCT fats. Good sources include MCT oil, coconut oil and coconut products, such as coconut milk and cream. 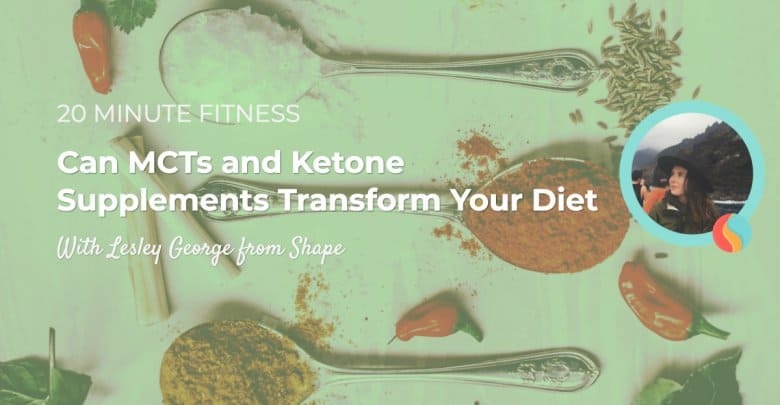 Because MCT fats quickly convert into ketone bodies, without having to take the detour through the lymph system, an MCT ketogenic diet allows for a greater intake of carbohydrates and protein, potentially making it easier to follow the diet. The study involved 20 subjects with Alzheimer’s disease or mild cognitive impairment who, on separate days, were given either emulsified MCTs or a placebo. The researchers observed a significant increase in blood plasma levels of the ketone body beta-hydroxybutyrate. Remarkably, cognitive testing revealed that this brief MCT treatment facilitated improved performance on the Alzheimer’s Disease Assessment Scale. Moreover, “higher ketone values were associated with greater improvement in paragraph recall with MCT treatment relative to placebo across all subjects”. Those side-effects are most often confined to the gastrointestinal system and include nausea, diarrhea, bloating, belching and abdominal cramps. If you suffer from high cholesterol, MCT oil may aggravate your condition as well. Speak to your doctor before taking it in those circumstances. (Bonus) How Does The Butter Coffee Trend Fit Into This? 2 tablespoons (at least) of grass-fed, unsalted butter. All mixed in a blender. So, not surprisingly, when you add butter and MCTs to your coffee, you increase your calories dramatically. About 450 calories to be exact, and 52 grams of fat. An extra 450 calories is a lot, especially if you have more than one BPC a day, as many people do. As far as fat content goes, we know that a moderate amount of saturated fat has many benefits, but that doesn’t mean having an entire day’s worth, or more, in one sitting is the best option for most people, especially those looking to lose weight. If you treat BPC as a “meal replacement” or a “mini-meal” — in other words, if you actually drink this instead of eating breakfast — those extra calories aren’t anything you’ll have to worry about. BUT, keep in mind: You may want to lower your fat intake at other meals, and make sure you eat a lot more protein, fruits, and vegetables to balance out your nutrients for the rest of the day. This week’s episode of 20 Minute Fitness is sponsored by Health IQ, an insurance company that helps health-conscious people like runners, cyclist, weightlifters, and vegetarians get lower rates on their life insurance. And they have lower rates for people who are leading a health-conscious life. Kind of like good driver savings on auto insurance. They have unique underwriting that replaces BMI with waist-to-hip ratio, takes into consideration cholesterol calculations and more.To see if you qualify, get your free quote today at healthiq.com/20fit or mention the promo code “20FIT” when you talk to a Health IQ agent. Life insurance companies calculate your policy rates based on your “nearest” age, not your actual age and rates increase as you get older – Lock in the best rate possible by getting a free quote today. Enjoying the podcast? We’d so much appreciate a second of your time for you to leave a rating and review on iTunes. Start by clicking on ‘View in iTunes’!